& Payday loans in 23 states. & loan funded by next business day. vary depending on the state laws. Cash Central is a state licensed lender, a registered (CSO) Credit services organization, and a licensed (CAB) Credit access business. The company offers payday loans, installment loans, and title loans. Some of the financial products offered by them are available in half of the U.S. states. Cash Central was established in 2006 and headquartered in North Logan, Utah. Cash Central is also a member of the Community Financial Services Association of America (CFSA). As a member of CSFA, the company follows the industry best practices strictly, ensuring the protection of consumers so that all transactions on payday loans and installment loans are carried out in a safe and responsible manner. Cash Central has no physical locations for in-store visits, and all financing options are only available online. For a better user-friendly experience, the website and the application form are designed compatible with all devices. Furthermore, for keeping the online transactions safe, the application on the site is protected with the highest level of security. All sensitive personal information is transmitted through high-level Secure Socket Layer (“SSL”) encryption. Requirements for a Payday Loan & Installment Loan. A verifiable source of income. Valid checking account in the applicant’s name. Valid email address and two valid telephone numbers. Payday Loans at Cash Central. Payday loans are also referred as small-dollar loans, which are for short-term use to handle financial hardship until the next payday. Payday loans are often used by individuals, who need immediate cash for some unexpected expenses. Individual’s in need of an urgent cash, find this option as a ray of hope to cover their unforeseen expenditures, as the funds are quickly available for use on the same day or by next business day. If there is an urgent need of money, payday loan at Cash Central is a great option to help you out. The company provides online payday loans between $100 to $1000 and repayment period up to 30 days. However, the loan amount and repayment term varies, depending on the state you reside. Cash Central does not have any storefronts; the application process is completely web based. The web-based form will require you to fill in your personal information like phone number, email, banking info, social security number, etc. accurately. Inaccurate information on the form may result in getting it rejected. The application process, approval time and processing time to receive funds is extremely fast. It takes few minutes to complete the form, likewise, within minutes the approval status of your loan will be displayed. If approved, the money will be electronically transferred to your bank account mentioned on the application by next business day. In case you are in a tight spot and cannot hold back until the next working day and need immediate cash, you can avail the same day funding option at Cash Central. This solution can be availed if you have a Green Dot® Prepaid Master® or Visa® or Insight® Visa® reloadable prepaid card or any card under the Green Dot® network that accepts reloads. Direct electronic bank deposits are only available during business hours. However, the same-day funding option can be utilized even on weekends or holidays, and you can have the loan amount deposited on your card within minutes. APR and Fees: – Payday loans cannot be obtained in all states the laws and regulations in states wherever they are legally available to have added some restrictions. The loan term, fees and the loan amount vary by state. The fees on a payday loan are usually calculated on every $100 borrowed. At Cash Central, this may range between $15 to $27 per $100 depending upon the state you reside. We have created an example table which covers the fees and APR on a $300 loan amount for a 14-day term. Click here to view the example or visit the rates & term’s tab above. Click here to visit Cash Central’s website for more up-to-date info on fees and APR. Installment Loans at Cash Central. Installment loans are usually preferred by individuals who are in need of higher loan amount and require a longer term for repayment. Unlike payday loans, which do not allow such flexibility. They have a shorter duration to repay, small loan amount and must be paid in one lump sum payment. Cash Central provides installment loans between $300 and $5000 along with a repayment term of 6 months to 24 months. The rate of interest is lower when compared to a payday advance. The loan amount and the repayment period may vary, depending on the state of residence. Cash Central installment loans provide an option to select the repayment schedule to match with your pay schedule if you want to make your payments in fixed, semi-monthly, bi-weekly or monthly installments. Additionally, you also get an option to pay off the loan in full or make an additional payment toward the principal amount anytime without any prepayment penalties. The process to apply for an installment loan is simple, customer friendly and entirely online, similar to the payday loan application. Just fill out the mandatory information on the form and wait for an instant response on the status. If any additional verification is needed, you may not receive an immediate decision on your application. The customer support would make contact with you for further verification by phone or email. The loan amount requested on your application and the approved amount may differ based on several factors, such as your monthly income, credit history, any outstanding on existing loans and your ability to repay. Once you accept the approved loan amount, fees and term and e-sign the contract, the funds are electronically deposited into the bank account by next working day. APR and Fees: – Installment loans are only available in certain states and will not be available in all U.S. states. Some state laws regulate or cap the rate of interest, fees, loan amount, and duration of an installment loan. These could impact, how much one can borrow, fees and term from one state to another. The (APR) annual percentage rate for an installment loan is determined by the amount borrowed, loan duration, payment schedule and first installment date. For example, if you reside in Alabama, Cash Central offers installment loan between $2000 to $5000. 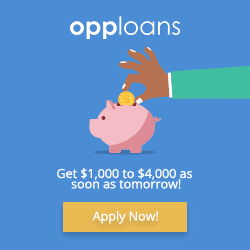 When you opt for a 24-month installment loan of $2000 with a monthly payment and the first installment 30 days from the date of funding, then you would require 24 payments of $310.86 at an APR of 180.00%*. Title Loans at Cash Central. Title loans are also referred as secured loans, which are obtained towards a vehicle title. For example a car, truck or motorcycle, in which the borrower makes use of the title of his or her vehicle as collateral to borrow funds. Title loans are often chosen by individuals who are need of urgent cash and are unable to avail financing through other options. Cash Central doesn’t offer title loans online. However, to keep their customers satisfied and to fulfill their needs, they have partnered with licensed and trustworthy title loan lenders. The amount offered by the lending partner’s ranges from $100 to $25000, depending on the valuation of the vehicle, state laws and ability to pay back. To utilize this option, you need to own the car title without having any outstanding loans or judgments on it with a valid insurance. When you fill in the application, the lender will begin verification on your requirements and conduct an on-site inspection of the vehicle if required. If approved, your title will be held by the provider, while you keep driving your car and continue paying the borrowed funds. Ohio Residents: – In Ohio, Cash Central is a registered Credit Service Organization (CSO) and not a lender. Cash Central arranges loans from an unaffiliated third party lender for a fee. 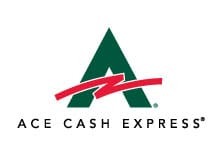 Texas Residents: – In Texas, Cash Central is a licensed Credit Access Business (CAB) and not a lender. Loans are provided by an unaffiliated third party lender for a fee. Safety 128 bit secure sockets layer. Verified by GoDaddy.com, Inc.
State Licensed Licensed lender, since 2006. 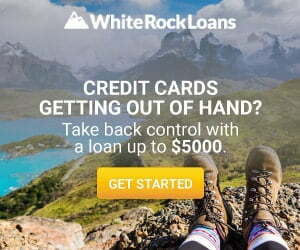 Loan Amount $100 to $1000 in Payday loans.. $1000 to $5000 in Signature installment loans. Amounts may vary depending on the state. Funding Time Next business day*. The below calculation is based on $300 funded amount with 14-day term for loan repayment. Some states may have longer tenure for repayment, depending on the state law. Check the rates & terms page on the lender’s website for more details on Fees, NSF charges, Late payment charges. Payday Loan Fees and Examples. Alabama $500 $300 $52.50 456.25% $352.50 *Calculation is based on 14 day tenure with 1 payment. Alaska $500 $300 $50 434.52% $350 *Calculation is based on 28 day tenure with 1 payment. California $255 $255 $44.98 459.88% $299.98 *Calculation is based on 14 day tenure with 1 payment. Hawaii $500 $300 $52.92 459.90% $352.92 *Calculation is based on 14 day tenure with 1 payment. Idaho $1,000 $300 $81.00 703.93% $381 *Calculation is based on 14 day tenure with 1 payment. Kansas $500 $300 $45.00 391.07% $345 *Calculation is based on 14 day tenure with 1 payment. Louisiana $220 $220 $54.26 643.02% $274.26 *Calculation is based on 14 day tenure with 1 payment. Minnesota $350 $300 $23 199.88% $323 *Calculation is based on 14 day tenure with 1 payment. Mississippi $200 $200 $40 521.43% $240 *Calculation is based on 14 day tenure with 1 payment. Missouri $500 $300 $75 651.79% $375 *Calculation is based on 14 day tenure with 1 payment. Nevada $1200 $300 $81 703.93% $381 *Calculation is based on 14 day tenure with 1 payment. North Dakota $500 $300.00 $60 521.43% $360 *Calculation is based on 14 day tenure with 1 payment. Oklahoma $500 $300.00 $45 391.07% $345 *Calculation is based on 14 day tenure with 1 payment. Rhode Island $1000 $300.00 $81 703.93% $381 *Calculation is based on 14 day tenure with 1 payment. South Dakota $500 $300 $81 703.93% $381 *Calculation is based on 31 day tenure with 1 payment. Tennessee $400 $300.00 $52.92 459.90% $352.92 *Calculation is based on 14 day tenure with 1 payment. Texas $2000 $300.00 $85.15 739.99% $385.15 *Calculation is based on 14 day tenure with 1 payment. Lender interest rate of 10% per annum and CAB fee of $28 per $100 borrowed. Utah $2000 $300.00 $81 703.93% $381 *Calculation is based on 14 day tenure with 1 payment. Washington $700 $300.00 $45 391.07% $345 *Calculation is based on 14 day tenure with 1 payment. Florida $500 $300 $35 304.17% $335 *Calculation is based on 14 day tenure with 1 payment. Fee of $10 per $100 and $5 verification fee. Wisconsin $1,100 $300.00 $81 703.93% $381 *Calculation is based on 14 day tenure with 1 payment. Wyoming $300 $300.00 $30 260.71% $330 *Calculation is based on 14 day tenure with 1 payment. Ohio $500 $300 $80.10 696.11% $380.10 *Calculation is based on 14 day tenure with 1 payment. Lender interest rate 24.95% per annum, $1.50 credit investigation fee and CSO fee of 25% on amount borrowed.